Accessories complement, protect and ensure a long life for temperature and power controllers. They provide interfaces for users and third-party products. They also enhance the ability of products to meet a broader rage of application and agency requirements. Watlow provides a selection of accessories from communications gateways to fuses that help improve the usability and flexibility of Watlow products while assuring the safety of your application. The EZ-ZONE® Remote User Interface (RUI and communications gateway) can be utilized as a communication gateway device to save cost, space and wiring when digital communications is being used with two or more EZ-ZONE controllers. The EZ-ZONE Remote User Interface can also serve as a display for showing all parameter values for up to 16 EZ-ZONE controllers, again saving cost, space and wiring expenses. Laptop and personal computers include a variety of features including serial communications “COM” ports and Universal Serial Bus (USB) ports that allow them to communicate with other devices such as printers and digital cameras. Industrial and commercial devices such as process and temperature controllers often have EIA 485 communications interfaces (also known as RS-485) which cannot be directly connected to a typical computer. 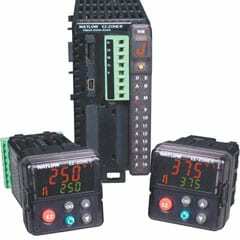 Watlow® offers a series of serial converters that provide a simple and reliable solution to connect Watlow controllers to computers and devices. 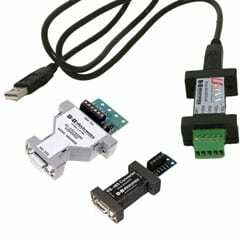 These compact serial converters offer several features that make them ideal for use in applications in which Watlow controllers communicate with a computer via Modbus® RTU or EZ-ZONE® standard bus. Properly applied fuses protect personnel and property from damage that can occur when there is a failure. Protecting solid state power controllers, such as Watlow’s DIN-A-MITE®, requires fast acting fuses. Achieving the Short Circuit Current Rating (SCCR) for power controllers requires the use of a specific fuse. Watlow offers fuses and DIN-rail mount fuse holders appropriate for use with DIN-A-MITE power controllers solid state relays and EZ-ZONE ST® controllers. 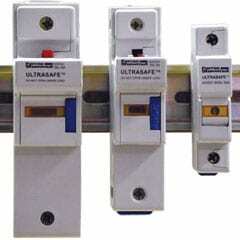 The fuse holders feature lockout/tagout and open fuse indication. A current transformer (CT) provides a signal that is proportional to and isolated from the load that passes through it. The signal from the CT can be measured by a temperature or power controller. The value from that measurement may be used to trigger an alarm, detect an open heater or a shorted SSR, or to indicate the current. 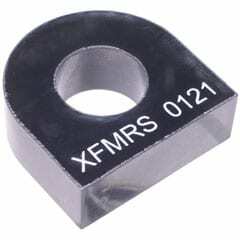 Choose the model that provides a measureable output for the planned load current. 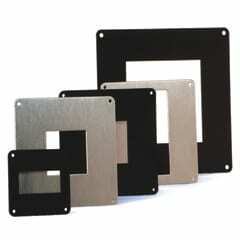 Panel mount adapter plates for panel mount controllers and control panels provide a convenient, cost saving solution to modify existing control panels. Available in a variety of DIN sizes, adapter plates make changing out old, larger size temperature controllers with more sophisticated, compact controllers easy. Simply complete the build-a-part with the specifications you require.